Banjo Kazooie Nintendo 64 game cleaned, tested, and guaranteed to work! 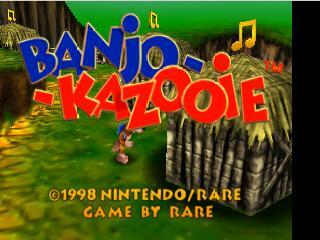 Banjo-Kazooie is a platform and action-adventure video game developed by Rare and published by Nintendo. 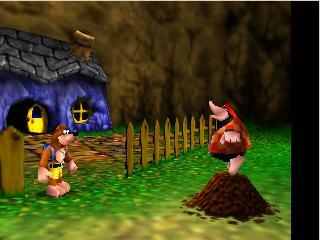 The game is set in the fictional location of Spiral Mountain where a bear named Banjo and a bird named Kazooie live. Gruntilda the witch kidnaps Banjo's sister, Tooty, to steal her beauty via a transformation device. Banjo and Kazooie set out on a dangerous adventure to rescue Tooty. 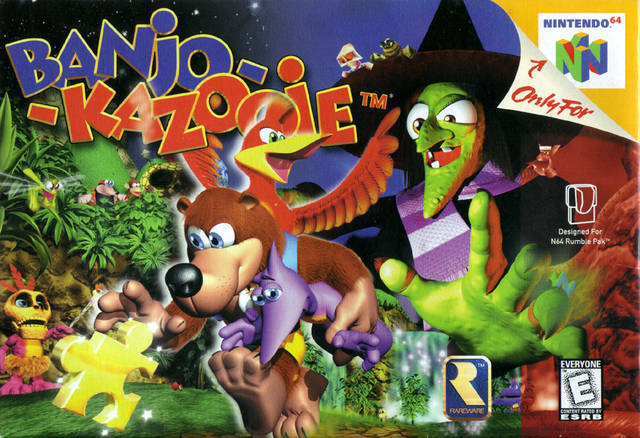 Banjo-Kazooie was a critical and commercial success, and went on to become one of the best-selling games for the Nintendo 64. Thanks a lot Lukie Games, I ordered Banjo Kazooie to experience a game I never got to in the past, and was impressed by the quality of the game itself as well as it’s delivery, being exactly by time described in the shipping details. 10/10 You guys have won over another recurring customer. Great game, great condition, amazing intro!! Great game & great service. Fast shipping. Good service. Game works. Good price. Great game. Game works great and in good shape, another good game done by rare. I will be comparing this title with donkey kong 64 since I had that one growing up, although I have never actually finished both because 1) don't have the time like I had as a kid to play Banjo 2) donkey kong 64 had to much stuff to collect with 5 player and this threw me off the game. But from first glance the adventure and play through is really similar to donkey kong 64 which I enjoy and only one player collects stuff ( don't have to switch player constantly)but no multiplayer which was fun in donkey kong 64. Game works and was in great condition. This is definitely one of the best games on the entire console. It's like a funny, more polished version of super mario 64. I just got done beating this game and I loved every minute of it. I highly recommend this title to anyone. 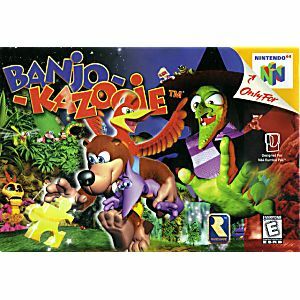 One of the best games for 64, I haven't received mine yet but this game is a "puzzle piece" of my child hood I wish it would hurry and get here ill write another review asap. Grandson love it, everything was just as advertised.